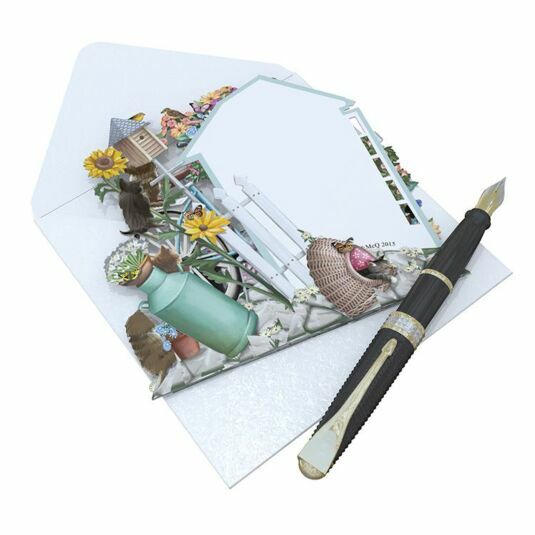 Gardeners and cat lovers alike will love this wonderful 3D card and anyone will appreciate the intricate detail of the image. 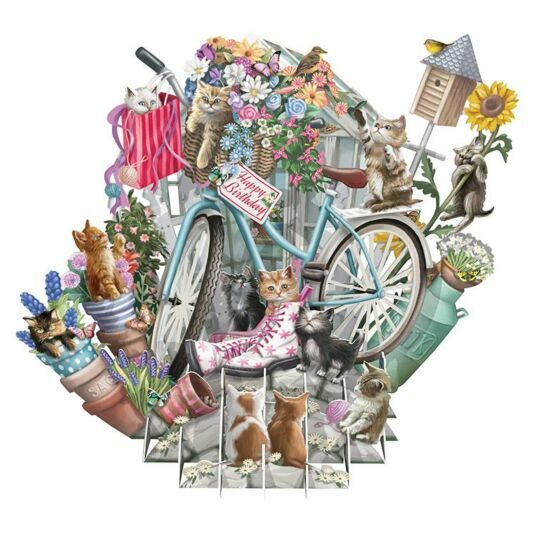 In the background an old greenhouse with white-painted wood can just be seen, concealed behind a colourful jumble which consists of a bicycle and various pieces of garden paraphernalia, all mixed up and overflowing with cute kittens in all kinds of poses. 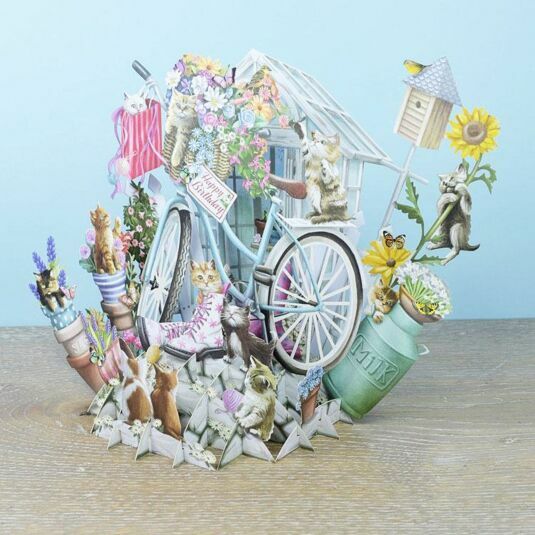 An old milk churn, a bird house, a pair of quirky boots and a pile ­­­of differently decorated garden pots complete the image but the kittens are the stars in this piece, tucked in baskets and boots, hanging from a sunflower, reaching for a bird, hiding in pots and generally creating the kind of mayhem that only kittens can! 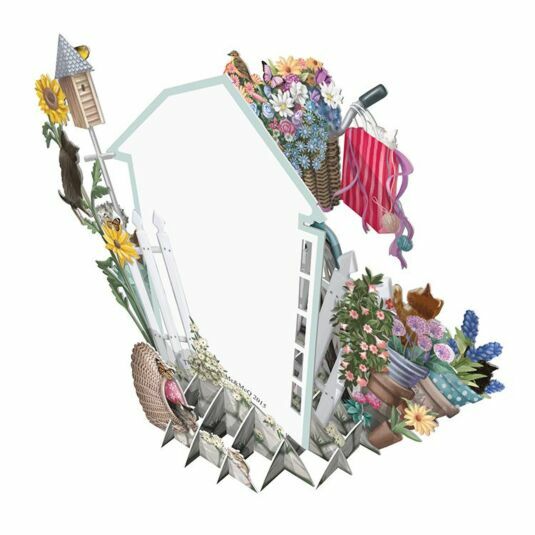 When the card is folded flat, the back of the greenhouse has space for a message, and on the front a tag is shown attached to the bicycle handlebars, printed with the words: Happy Birthday. 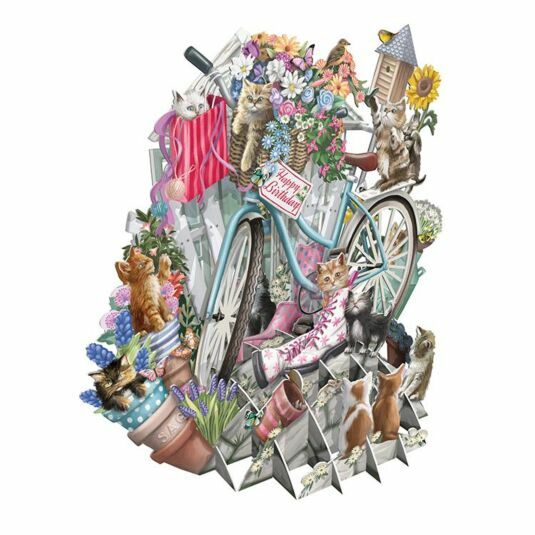 This beautiful card will appeal to cat lovers, gardeners, allotment owners, and anyone who loves humorous designs; and is perfect for a special birthday.